English Language Learners (ELLs) are in urgent need of instruction and tools to support their academic writing in English, which is essential to achievement in every academic subject and to overall school success (August & Shanahan, 2006). This chapter assesses the potential of speech recognition (SR) software, which through advances in research and development fueled by myriad commercial applications, now holds promise for new application in the classroom. SR has been studied for use in general education and by students with learning disabilities for academic writing. However, few studies to date have analyzed the impact of SR on ELLs’ writing. This study shows that SR software supported student pronunciation skills, which in turn may impact word fluency and text production. In addition, students used the software along with other semiotic tools (language, document-based questions, and other curricular material) to enhance their writing during the New York State Education Department Examination in Social Studies, which scores students’ essays for how they utilize higher level thinking skills and the extent to which they support their ideas with facts, examples, and details. 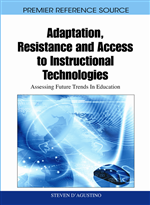 Finally, this chapter explores how the constraints and affordances of the SR technology as a scaffold transformed with the students’ mastery of spoken language and literacy. ELLs are in urgent need of instruction and tools to support their academic writing, which is a predictor of school success (Nagin, 2006) and young people’s overall life chances. Literacy in English is essential to achievement in every academic subject and to overall school success (August & Shanahan, 2006). The facts illustrate the need. Whereas 10% of students who spoke English at home failed to complete high school, the percentage was three times as high (31%) for language-minority students who spoke English and five times as high (51%) for language-minority students who spoke English with difficulty (National Center for Education Statistics, 2004). According to the National Center of Educational Statistics (2009), the median income of persons ages 18 through 65 who had not completed high school was approximately $24,000 in 2007 versus approximately $40,000 for those with a high school credential, including a General Educational Development (GED) certificate. Among adults in the labor force, a higher percentage of dropouts are unemployed compared with adults who earned a high school credential (U.S. Department of Labor, 2007). Dropouts also make up higher percentages of the nation’s prison and death row inmates. In summary, literacy is a powerful instrument, at times defining our very lives with its facility. And writing ability, particularly in the academic settings of the United States, can open or close doors for a child. Vygotskian sociocultural theory served as the foundation for research that was conducted from January to June 2008. The research was inspired by findings from a previously conducted pilot project2 to help Latino middle school students who are English Language Learners (ELLs) to improve their academic writing. During the pilot, students in a New York City middle school were given access to a Web-based writing environment that provided online social studies materials with background information on the civil rights movement of the late 1950s and 1960s and on the immigration rights protests of early summer 2006. They were also introduced to a curricular scaffold that showed them how to analyze the materials from social, technological, economic, political, scientific and geographic perspectives and use these perspectives to build a cohesive essay. Classroom discussions were often quite lively; yet, many students who were active participants in the oral discussions had difficulty getting their ideas on paper. This finding became the inspiration for the subsequent research study that will be elaborated in this chapter. The central question: How can oral language and other “mediating tools” (Vygotsky, 1981) including speech recognition technology (SR) be harnessed to enhance ELLs’ academic writing? To explore this question, an enhanced instructional approach was developed that utilized Dragon NaturallySpeaking speech recognition software and a planning tool3 to help students transcribe their oral language to written text. Finally, five Latino ELL eighth-graders from the same New York City public middle-school,4 who had varying degrees of oral and literacy competence in English, participated in case study research that was conducted over fifteen sessions, from January to June, 2008. These students received whole group and one-on-one instruction for writing that was scaffolded with the mediating tools. Following is a review of Vygotskian theory that underscores the importance of semiotic mediation in supporting students’ learning within their zones of proximal development.